Why do some people spend decades being a fount of goodness only for it to be demolished and made unrecoverable by sexual acts? 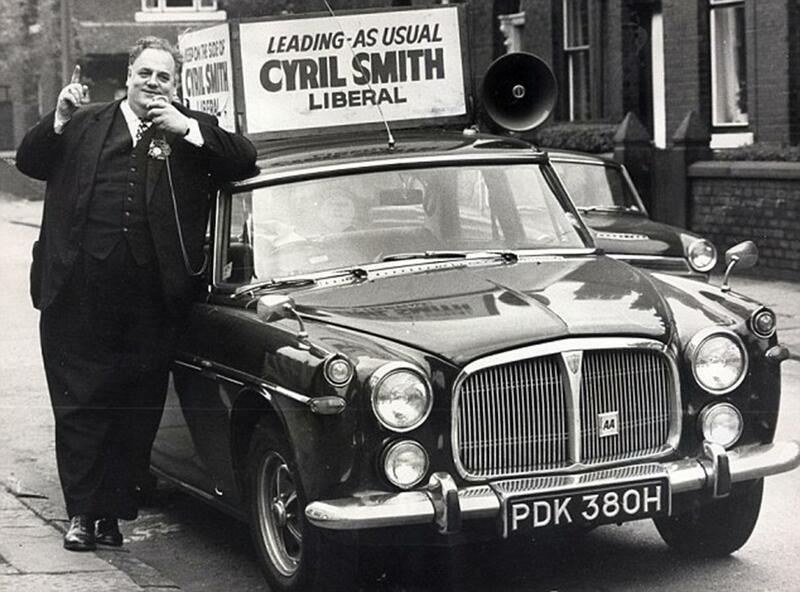 Cyril Smith, the huge MP for Rochdale, was regularly on the local tea-time news when I was a lad, often speaking common sense in a language I understood (my gran used to adjust his clothes for him.) However the secrets of the scrotum unravelled and soon after his death there sprung a leak of accusations that he was a sexual predator who had abused many young boys in a care home. In April 2014 it was reported that there had been 144 complaints against him from victims (as young as eight) but attempts to prosecute him had always been blocked. 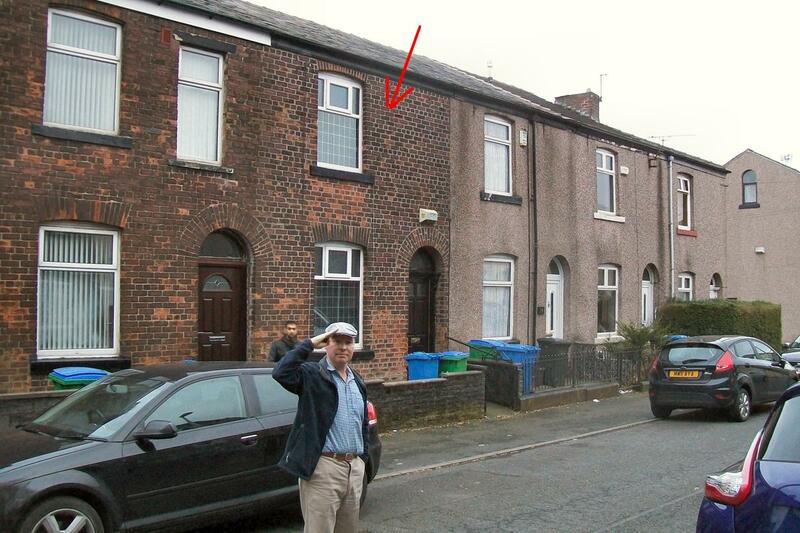 Here I am outside his house, a small terraced affair that was in line with his ordinariness. To many folk of Rochdale he was a local hero – chatty, jovial, fair, the rock on which common sense was cut. He was one of them, had grown up the Depression in Rochdale, was illegitimate (local shops had refused to serve him), born of a promiscuous mother, was downtrodden for being so fat (he was 12 stone when he was 12-years-old) and was so poor the family had to burn bits of furniture to warm up food. 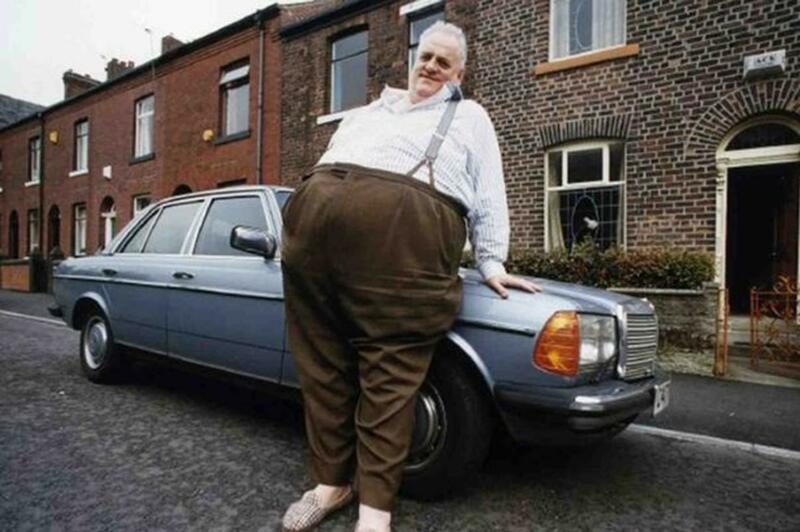 This roly-poly local lad never left Rochdale, would speak to anyone who approached him and was one of those rare politicians who was liked across all political parties. He was elected mayor of Rochdale, made his mum Eva his Lady Mayoress and was knighted. He retired from politics aged 64 and in his later years he was invited to become a guest lecturer on the QE2 cruise liner. Aged 78 he collapsed at this house, weakened by dehydration and low potassium levels. Aged 82 he died of cancer in a nursing home in Rochdale, knowing the cover-ups at high level meant his paedophilia would only become public knowledge when it was too late. He was cremated at Rochdale Crematorium after a well-attended public funeral service at Rochdale Town Hall, the coffin being of normal proportions as the cancer had shrivelled his 30-stone body to a third of its size.